Our GMO Free Florida meetings are held at 7:30 pm on the first Thursday of every month. Please be sure to check back often as the meeting address could change on occasion. 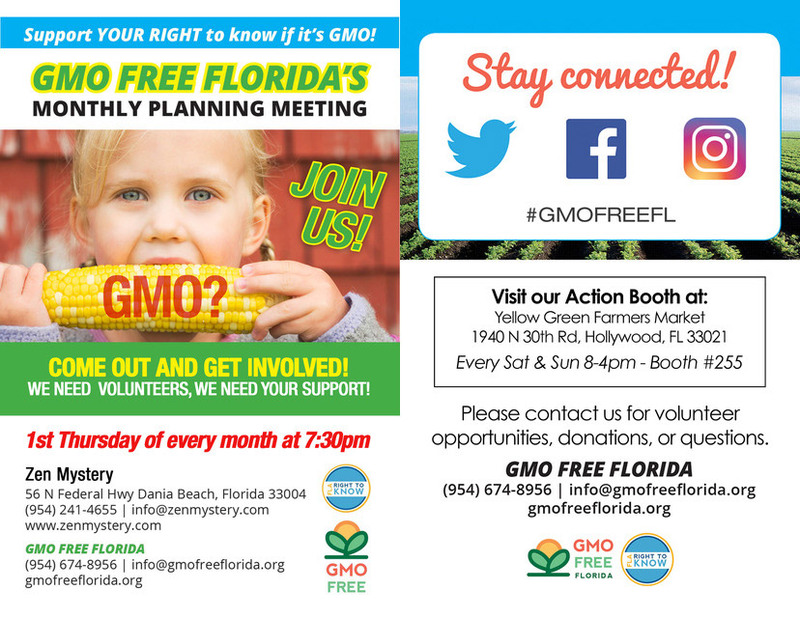 For information on the upcoming meeting: Click Here to visit our GMO Free Florida Facebook Page.